Your Mom & Sabyasachi Both Approve Of This Rainbow-Coloured Jewellery Trend! Marilyn Monroe said, “Diamonds are a girl’s best friend.” She might have forgotten the other eight belonging to this best friend’s club. Namely, the rager that is ruby, the enigmatic emerald, social-butterfly sapphire twins (yellow and blue, fraternal of course), quarrelsome coral, princess pearl, high-maintenance hessonite and lastly, cat's eye. Put together, the squad is known as the Navratna. 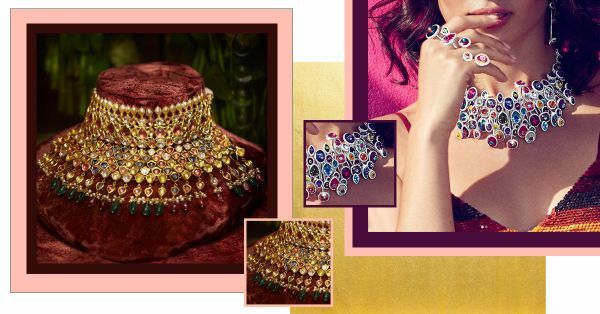 The term navratna is derived from the Sanskrit compound word which means ‘nine gems.’ And here’s why we think this jewellery trend is every millennial's new bestie. From designers to their muses, everyone is upgrading the rose gold jewellery of 2017 with navratna and here’s proof. Sabyasachi’s new bridal collection has ‘big fat Indian wedding’ written all over it in pure gold! Throw in a delightful mix of coloured stones (all nine, of course) and dear bride-to-be you’re in for a bright future. Don’t believe us, ask Mira Rajput whose beautiful wedding set made a comeback recently and there are nine beautiful reasons why! Paired with neutrals, the colours really come out. The Indian origin navratna jewellery has now become a global trend with various international jewellery designers following suit. Globally known as ‘Rainbow Gemstone Jewellery,’ the trend is making big waves in international markets for the pop of colour these gemstones offer. It’s almost as if every shade of the rainbow is crafted into a single piece. Whether its necklaces, bangles, or rings gone are the days of ‘the bigger, the better.’ As long as it’s colourful, it’s making a statement. ‘A brilliant rainbow of colour takes centre stage this spring, infusing joy and positivity to brighten up any of your looks.’ Swarovski’s Rainbow Paradise Collection designed by their Creative Director, Nathalie Colin, is what spring might look like if it was jewellery. A mother-daughter team Jane and Cleo of Jane Taylor Jewelry was amongst the first ones to introduce the rainbow jewellery trend and their work keeps getting more and more colourful every year. Sofia Ajram defines her love for fine jewellery as, “Weaving the magic of storytelling into wearable poetry.” All of her pieces are handmade to perfection. Made in Montreal but shipped worldwide, her Rainbow Stardust rings are worth investing in. 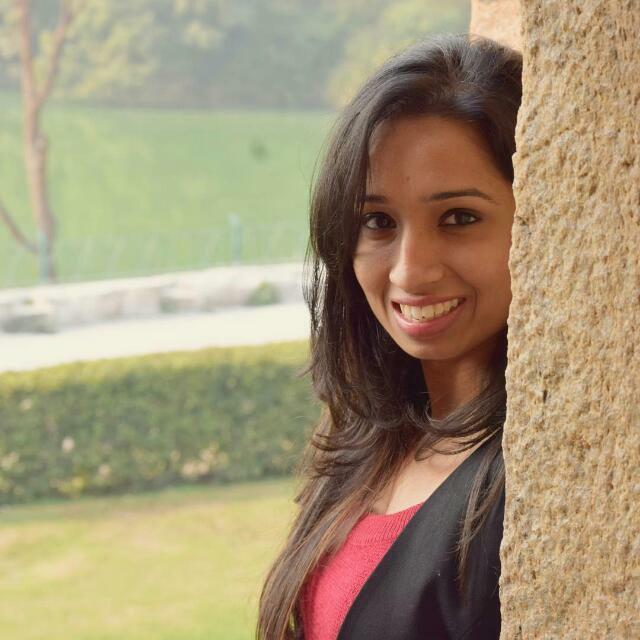 Elisa Solomon’s rainbow jewellery is what every woman wishes to receive as a gift for her wedding trousseau. Her collection of rings and pendant necklaces is a must have. See for yourself! Based out of Los Angeles, Suzanne Kalan is a name new to no jewellery buff. Her Rainbow Fireworks Collection is an elegant way to wear colour combined with fine jewellery. And while you’re at it, don’t forget to check out Eriness Jewelry’s Sunset Blvd Collection. Whether you’re a maximalist or a minimalist, this colourful jewellery trend is for everyone with its dainty elegance and cheerful persona. In a traditional definition or contemporary, the coloured gemstone jewellery is taking over 2018 and how! So dig into your mother’s locker for a navratna heritage piece, or invest for the years to come.